In speaking of the laconic I was reminded that in September we celebrated the anniversary memorial shoot in honour of departed friend Jonathan. There was none of the smoke and thunder of the previous year but the sputter of BB pellets that fell out of the end of the BB gun in the side show alley at the State Fair of Texas. By the time you realise you aim by pointing the stream of pellets at the target, as if it were a stream of water from a hose nozzle, the pellets expire and “the man” has your money. Jonathan would have come back to make a point of shooting that star out. But the real point is always to walk away before you can’t leave. Either way JD would have enjoyed the challenge and the whole mad atmosphere! The discussion about small towns is entirely appropriate given I have spent the last week visiting a few of them. On Saturday evening I had the good fortune to sit around an open fire in the Cockatoo Cafe in Dunolly. It was near freezing outside so the fire was a good start. 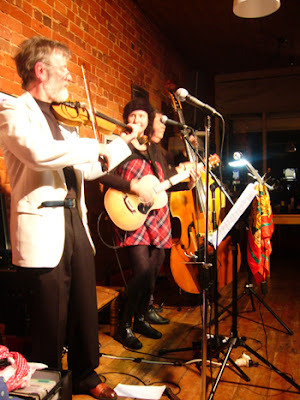 Even more rewarding was the warmth of the company, and the sparkling atmosphere created by the trio called Continental Drift – their range of folk and gypsy music from Turkey, Araby (! ), Russia, Ireland and any other number of points had our feet tapping. And of course songs from France and some lyrics in French to suit the occasion of the 14th of July. Mix all that with the general din of chat, families connecting, children playing, good food and wine, and reminiscing, without being maudlin, about our good friend, son, brother, partner Jonathan, and it crossed my mind on more than one occasion during the evening that there are things country folk know that city folk never do (apologies Banjo). If we could recreate that family warmth, connection, hospitality, and joy of life found this evening in the Cockatoo Cafe in our cities we would probably never want to leave them! Dallas – Nice Truck, Big Gun – The "JD Memorial Shoot"
Dallas is a pretty special place – for some! I have a friend from Los Angeles who decided he needed to get out of the madness of that lifestyle and go someplace where he could focus on his humanitarian work. To do that he figured he would live in the worst place he could imagine – he chose Dallas. That still makes me laugh. My own experience of Dallas is a much more positive one and came about through Clyde Musgrave. PhD. Ex USN. Works in some interesting parts of the government. Introduced me to some interesting venture capital types in Richardson County (one memorable meeting had one of them hand me a pomegranate from out of his garden) in 2001, a visit which still remains vivid in my memory. Clyde was instrumental in getting our business up and running in the early days and opening our eyes to what was possible in the US and global markets. In that process he formed some very firm friendships with our founding team, friendships that are now as inclusive as family. He has also been instrumental in helping me get to know a little bit about Texas – a drawling “niiiice truuuuck” is one clue to making friends quickly in this part of the world. A special friendship sprung up between Clyde and Jonathan. Jonathan was tragically killed in an accident a few months back. All of us shared a love of shooting, especially handguns. Jonathan was particularly obsessed. So it seemed entirely appropriate that for us to honour our friendship with Jonathan we conduct the inaugural “Jonathan Ashton Memorial Shoot”. Which we duly did. 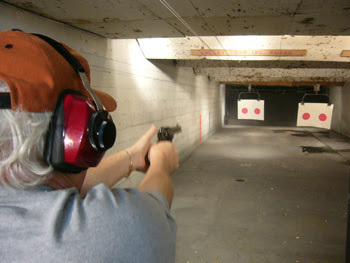 A Ruger .38 (Clyde using it here), a Beretta .32, a Glock 9mm and a S&W .357 were the instruments of choice. As we blasted away a part of the morning we grinned like little boys in a candy store and knew in our hearts that Jonathan would have thoroughly approved. So inscribed in Latin on your casket by your brother Tom, and a touch that everyone enjoyed. Everyone – maybe 400 or so. I did a quick headcount in the service. Sorry. But I know you would understand. We all loved the fact that we were all here for you today. What a great testimony to the impact you have had on our lives. What a diverse collection of people you touched. Plumbers mixed with AMs. The former DG of the Secret Service stood in the same crowd as the law clerk you recently helped with accommodation when she was getting settled into a new town. Smart suits mixed with the bohemian – mainly a little grizzled nowadays. You would have enjoyed the fact that all your Army mates and ex Army mates stood out like, well Army types, only underscoring how atypical a military type you once were. Part of that was explained today as your parents revealed your gypsy roots – travelling as a kid in a horse drawn caravan across NSW and QLD. 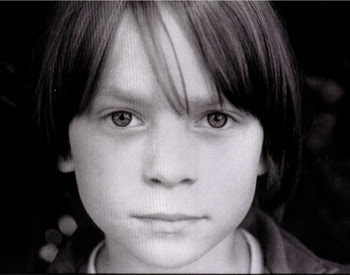 The photo here of you as a boy was taken in those years. It is you in all your studious seriousness with a hint of the rogue. The later photo, below, captures more rogue but hints at your love of toys (check the watch), nice clothes (silk tie) and dining out (photo taken in a restaurant). As I drove to Monsalvat I thought it was a perfect day for flying. You would have loved it. A clear Australian, brilliant, hot, lucid sky. As I thought of that, the knot in my stomach tightened and I found myself getting more and more emotional as I got closer to the front gate. As I pulled in, an old blue heeler wandered out and scratched himself. Somehow that tattered beast was what I needed and I laughed out loud and instantly felt better for that. In part because it was the sort of mongrel you loved. All the gang are here mate. All those grown men who have done amazing things around the world, now mixing laughter and tears over you and with each other. All united at this artist’s retreat which is so appropriate a setting for your farewell. Your Dad and Mum made us laugh and cry – gave us all insights we never had but which were true to what we knew of you. Shauna did a sterling job. You would be proud of your “gorgeous girl”. We all are. Of course Mark was necessarily irreverent at spots and we thank him for that, for making the bitter a little sweet. We saw you out to a trumpet solo then drifted in suspended disbelief to the Great Hall where we were treated to a collection of video and photos which brought more tears and laughs and lots of affectionate “Damn you JD”s. I am sitting on an old stump, in the shade of a veranda jotting these notes, and finding myself enjoying the scene while I try and capture something of the essence of the day. Down the hill is the Great Hall, a stone and timber structure in which a number of folk are still catching up, watching the AV display and shedding a tear or two. A few dozen mingle on the paved courtyard outside and their chatter and laughter drifts up, punctuated by the soft warbles of a magpie and the distant sound of a light aircraft. It drones out of airshot but the magpie continues its consoling lament. It’s been a strange day JD. A part of me still hopes you have staged all this and run off to Peru. Another part simply fails to make the connection. There is a surreal, unreal sensation to all this. Your mates share the sentiment with me. It is not right. It is not happening. But we were all confronted by the reality of the place, the occasion, the grief of family, of the casket, and there was the raw and painful truth of it all. You would have loved the casket by the way. Not just because Dad and friends made it but because the routered and mitred joints were perfect and its lines square and clean. In fact you would have loved the whole occasion and therein lies the rub. You should know that through all this there have been some reconnections of friendships that too idly have been allowed to slip away over the years. And that there have been some reconciliations today by some of us confronted so dramatically by your unholy accident. The day was a day of love and affection and you were the catalyst for it all. By mates, by mates of mates, by your mates. You made us all an extended family and we all felt that today. Thanks. By the way your favourite tie made it there today. You left it at home seven years ago and it has hung in my office for the last couple of years. You always promised to pick it up but never did. I am glad you didn’t – I wore it today. So this is my farewell. The last two weeks have been turgid, weighed down, surreal and hollow. I need to move on. To pull myself out of this dark cloud. Farewelled but not forgotten. Farewelled but forever engraved on our hearts and lives. On my heart and in my life. A part of the sum of me, my beautiful friend. I love you still. It’s been more than a week now. I drove home last Friday afternoon up the Waringah Expressway. I was enjoying the sunshine and the clear blue Sydney sky – and the fact that the air conditioning was keeping the humidity at bay. The traffic was light which was surprising since these 6 or so lanes of traffic can get pretty clogged on this side of the bridge. So I glanced at the clock thinking it was earlier than usual. Well, it was but the clock jolted me for another reason, that being the 5.40 I read on the dial. Suddenly the day was less bright as it occurred to me that this was about the same time last week you were enjoying the last minutes of that plane flight. That it was exactly this time a week ago you were enduring something that should never be suffered alone. Away from all your friends and those who have declared their compassion and love for you this week. You will be delighted to know that such is the memory most have of you. Enjoying life to the full and revelling in anything that was tactile, sensory and dangerous. And of course if it was slightly irresponsible in some way there was an added measure of delight that lit you up. But damn you, last week was thoroughly miserable. I waded through the week feeling a constant knot in my gut and was thoroughly demotivated. I made a checklist of things that needed doing and ploughed through them. Some of my colleagues noticed. Fortunately most did not. You would enjoy the fact that (ironically) last week I kept turning up things that reminded me of things we did together. I was looking for an old residential address on a bill so I could file a claim – its a long story. Your CV fell out of the file. The one we wrote at the end of 1997 when you were finally convinced that leaving the military was a real option. It was not put into action for another twelve months or more. It is an impressive read even after all this time. You made the time in the Pilbara sound like it was a critical qualification for any future employer. It made me laugh. Then I put it on the dining room table where it still sits. I can’t bring myself put it away. The next file upended the training business plan we wrote. That made me grin too – I won’t divulge where the guts of it came from but you turned up with a massive fax which we turned into a plan. It is probably just as well we never turned that into substance (someone would be chasing us for breach of copyright) but considered it an iterative or instructional exercise. Later in the week I pulled a postcard off the wall at work. From you at Gettysburg. We spoke for hours about the Civil War and Gettysburg was one place I encouraged you to visit. There was your chicken scrawl handwriting telling me you had gotten there at last. I pinned it back but see it every day now when for months I simply walked past it. I have told maybe fifteen or so folk about what has happened. Everyone has been appalled. But there has been something cathartic and healing in the telling. Something bitter-sweet as the instant memories people have of you and your madness were fond, affectionate and sometimes hilarious. I have spoken with people who have separated from me for some time. Spoken with others from whom I have drifted. And with others still whom I do not know directly but who I know knew and loved you. Laughter and tears. And more tears. From grown men all around the world. You would be a bit abashed. If the overall tenor of the week has been black and depressed the light and bright tone has come from all these reconnections. Thanks mate. Sadly those two or three I told who did not know you were dismissive of the event. I am not sure what to make of that. Maybe I caught them at the wrong time but the end result is that most of last week was spent keeping all this to myself. You would relate to that – the malaise of being a bloke! You know my world view. Better than most. And would not be surprised that I did share with some sympathetic friends on Thursday evening what had happened. They prayed for Shauna that night and for your parents. I know you never minded that and had an idle curiosity about God. Grace at our table when you stayed with us with a wrecked knee was something you enjoyed. I was encouraged that Thursday night by the fact that somehow, even though Shauna has never met these people, she was being supported and encouraged. I hope she was. John called today to tell me that JD was killed in a plane accident on Friday evening. At about the time I was to head off to Youth Group. How blithely we continue on while something erupts unseen and unheard over the horizon, but which will impact us in due course. How blithely we continue on, assuming every day will be the same and we all be in our appointed places to do business with each other, to answer the phone, share a joke, reminisce about good old times. How blithely we take each other for granted. How rudely our comfort is disrupted. JD was one of the co founding team of entrepreneurs who got our company off the ground and in 1998 was one of three who went to extraordinary lengths to help us secure the technology on which we built our business. It was the beginning of an infection in him that saw him leave a very successful career in government and establish himself in various small businesses, with some of them turning into modestly successful enterprises. There are lots of things I remember about JD and this is a good place to record them. One incident stands out. He had a final interview, by phone, for a job in a government agency. He borrowed an office and wallpapered A3 sheets across the walls and ceiling with information he might be expected to know about. From his high back swivel seat he was able to check his answers on every wall and even on the ceiling while carrying out the conversation by phone. The interview went for more than three hours. He walked out and said he had missed the job but had been offered another. It was an SES position, far in excess of the sergeant rank that he wore at the time. He went on to that appointment where he was most successful and was promoted beyond that in the end, to the position he originally sought. He had no sense that there was anything out there that limited him. I loved that about him. He loved toys and boys games. Hand guns. Bikes. Scuba diving. Rock climbing. In the end his love of extreme toys and behaviour appears to have been his undoing and a small plane in which he was travelling broke up and crashed on Friday evening. His friendship was unconditional. He gave with no expectation in return. He weighed in with enthusiasm, for the sheer pleasure of a new experience and the ability to help. Whether that was unloading ten tonnes of ceramics from Mexico (he came down with heat stroke in the oven of a 40 foot steel container) or negotiating how best to secure a software license from a US company. To hear from a mutual friend today how it was that he turned up in a NBC suit to the hospital bed of an ill colleague not only made me laugh at the absurdity of that gesture but it delighted me as well. For it rang true to the sort of character he was – free and ready to lift someone’s spirits, even at his own expense. 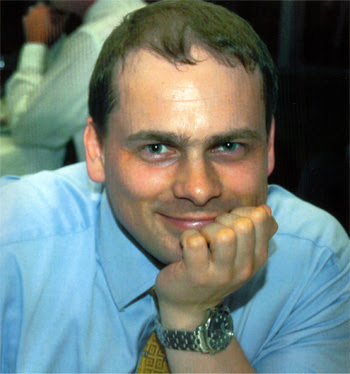 JD was an atypical Army sergeant – part of the Sydney latte set, dating a girl from the Australian Ballet, wearing cufflinks, expensive cotton shirts, and able to give sound advice on red wines – and I loved that about him too. In many ways he was his own man and own character. And there was always something about the little boy in him that never grew up. An effervescence and naiveté that in our heart of hearts we all envied. Well, part of me envied that part of him at times. The news is so new that it is only online. Nothing in the printed press yet. But already I resent the detachment of the press reporting so hollowly the facts when I know the person behind them. Yet that is how it is. How often we read that someone has died in a car accident then move on to the next piece of news without considering the person behind the event. We don’t connect with it – unless we are forced to. The afternoon is a little hollow for the news. Hollow too for the introspection that has me wonder if I could not have been a better friend, confidant or mate. Best to see how that feeling might fuel my relationships with those still alive. In the meantime I think of JD and remember a roguish glint in the eye of a mid 30s boy and understand he was one of those whose passing in a violent way is somehow appropriate. He would have been chewed up by a Great White, or crushed to death by an anaconda, fallen off K2 or frozen to death in a submarine lost under Arctic ice if he had not been destroyed in a plane crash. Later in the afternoon The Age Melbourne newspaper shows the first image of the crash site. I am stirred by the two plastic sheets slightly out of focus in the background – as if the most important, or least offensive thing is the wreckage – under one of which will be JD. Vital, energetic, adventurous. Now a lump of charred meat lying in a paddock and, for the rest of the world at least, with no name. I want to tell every reader that I know one of those mounds, that he has a name, an identity, a personality, character. That he is my friend. My friend so blithely lost.